Bill Milne: Are Carbon Nanotubes the Future of Electronics ? Over the past several years Carbon Nanotubes (CNTs) have been touted as being one of the most promising material systems for future electronic applications. CNTs are a unique form of carbon filament/fibre in which sheets of sp2 bonded graphite with no surface broken bonds roll up to form tubes. Single wall CNTs can exhibit either metallic-like or semiconductor-like properties and multi-wall tubes generally exhibit metallic-like behaviour. Their future application in the electronics industry is based upon several unique properties which the CNTs possess, e.g. they have the highest thermal conductivity, they can exhibit ballistic electron transport and do not suffer from electron migration. However there are still major problems to be overcome before CNTs can be used in devices and circuits including control of chirality and their selective growth. This presentation will cover the growth, characterisation and potential electronic applications of both SWCNTs and MWCNTs and will attempt to provide a realistic appraisal of their future in the electronic industry. Bill Milne FREng, FIET, FIMMM has been Head of Electrical Engineering at Cambridge University since 1999 and Director of the Centre for Advanced Photonics and Electronics( CAPE) since 2004. He obtained his BSc from St Andrews University in Scotland in 1970 and then went on to read for a PhD in Electronic Materials at Imperial College London. In 2003, he was awarded a D.Eng (Honoris Causa) from University of Waterloo, Canada and was elected as Fellow of the Royal Academy of Engineering in 2006 . 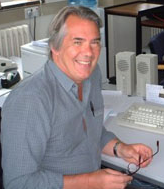 He recived the JJ Thomson medal from the IET in 2008 for Achievement in Electronics. He is a Guest Professor at HuangZhou University in Wuhan, China and a Distinguished Visiting Professor at SEU in Nanjing, China and at NUS, Singapore. He is also a Distinguished Visiting Scholar at KyungHee University, Seoul. His research interests include large area Si and carbon based electronics, thin film materials and, most recently, MEMS and carbon nanotubes and other 1-D structures for electronic applications. He has published/presented ~ 650 papers, of which ~ 150 were invited.